Glary Utilities is an all-in-one system maintenance utility designed for both novice and experts users. It provides one-stop solution to fix, speed up, maintain and protect your PC. The program offers set of powerful tools (20+) including: windows registry cleaner, disk cleaner, memory optimizer, startup manager, tracks eraser, system control, file management, system restore, performance accelerator and much more. It can fix registry errors, clean junk files and free up space, optimize internet connection, safeguard confidential files, recover deleted files, check for software updates, protect your privacy and helps you to customize your system to suit your needs. Moreover, It provides an automated, all-in-one PC care service, including a thorough scan for issues like invalid registries, unnecessary startup items, temporary files, Internet history and spyware. Just one click can keep any PC problems away. Glary Utilities is offered in two editions: Free and Pro (Compare Features). 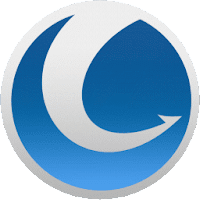 Disclaimer: Direct downloads for the lastest version of Glary Utilities 5.84.0.105 are provided by the official software's author, we can't guarantee safety, availability or download speed. Moreover, we don't and we won't provide any pirated/illegal versions or tools. We recommend you to avoid it as these methods can harm your device. If you like the software, buy it to support the developers. (We provide software discounts for many worldwide brands).